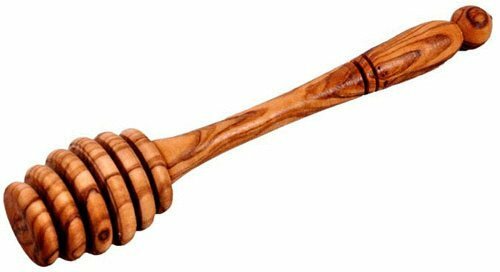 The Olivewood Honey Dipper is individually carved fom a single piece of Mediterranean olive wood. The 6.5" dipper has multiple ribs that hold honey for cooking recipes or tea service. Olive wood is very strong and hard, but safe for use against nonstick cookware, ceramic and glass. Olive wood features random streaks and burls in dark brown and soft yellows. Hand washing is recommended. If you have any questions about this product by Natural Olive Wood, contact us by completing and submitting the form below. If you are looking for a specif part number, please include it with your message.